304L cold rolled stainless steel bar, also known as ultra-low carbon stainless steel, is a versatile stainless steel material, which is widely used in producing equipment and components requiring good comprehensive properties (corrosion resistance and formability). 304L cold rolled steel bar has a broad application prospects and are widely used in the areas of hardware kitchenware, shipbuilding, petrochemical, machinery, medicine, food, power, energy, building decoration, nuclear power, aerospace, military and other industries!. Seawater equipment, chemical, dyestuff, papermaking, oxalic acid, fertilizer and other production equipment; food industry, coastal facilities, ropes, CD rods, bolts, nuts. Quality Management of 304L cold rolled steel bar: ISO 9001:2000 Quality Management System Certification, Production License, etc. 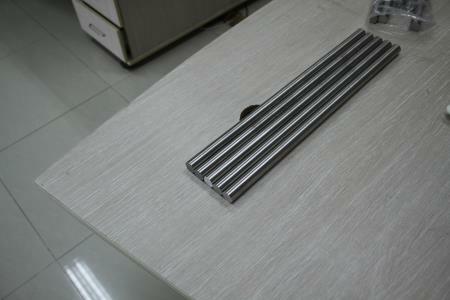 Note: 304L cold rolled steel bar of various materials and specifications can be made without standard. Jaway Steel is an original manufacturer specializes for stainless steel, steel and alloy steel plate, sheet, bar, tube etc. If you need more details about our 304L cold rolled steel bar product or the latest price , please contact us freely: 825@jawaysteel.com. We always offer our best price with high quality.